The Governor of Edo State, Mr. Godwin Obaseki, has disclosed plans to meet with President Muhammadu Buhari to strengthen the security apparatus in the state to address the security challenge. Obaseki stated this while responding to questions on the killing of three police officers and the kidnap of the Chief Executive Officer of Ogba Zoological Garden and Nature Park, Mr. Andy Ehanire on Sunday, in Benin City. He said the incident was unfortunate and assured that a revamp of the security structure in the state especially the strengthening of the State Police Command will curb crime and improve security in the state. “As we move towards the end of the year, crimes of this nature tend to raise their ugly heads, but we have taken the necessary steps to ensure the state is safe and secure for everyone and we have enough information on what has happened,” he added. 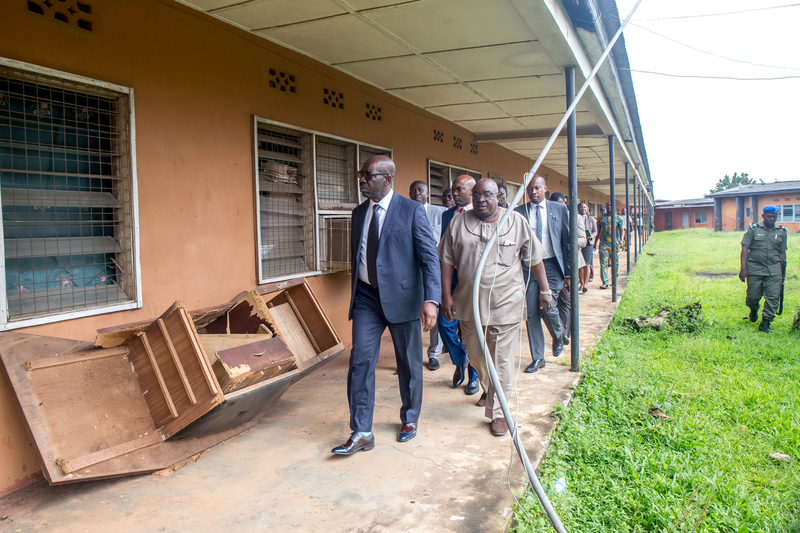 The governor, who also paid an unscheduled visit to the Institute of Continuing Education (ICE) in Benin City for an on-the-stop assessment of the facilities at the institution, decried the state of facilities at the institute. Obaseki who was taken round the institute by the Acting Rector of the, Victor Ajagun, told journalists after the inspection that based on the facilities on the ground, the institute did not deserve to be called a school. “I am here to see things for myself and this does not deserve to be called a school. I have seen the facilities and I am heartbroken. We are going to take a decision on what to do with the institute,” he said.